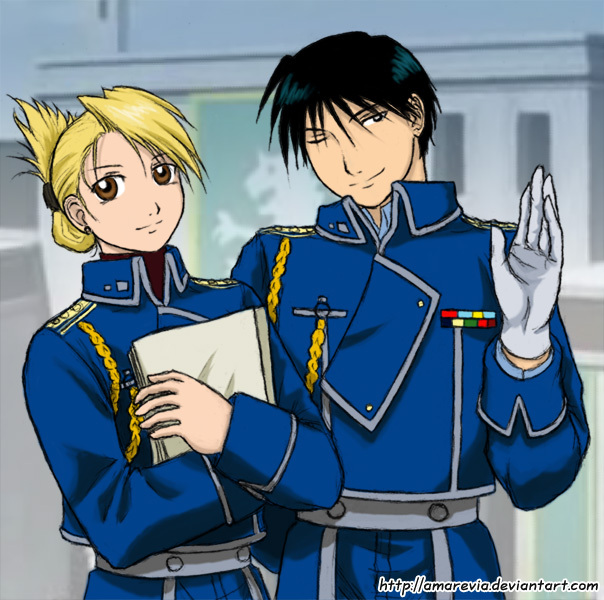 Roy & Riza. . Wallpaper and background images in the full metal alchemist couples club tagged: fullmetal roy couple mustang cute fullmetal alchemist riza hawkeye. This full metal alchemist couples fan art contains নকল মানুষের, কমিক বই, কমিকস, and কার্টুন.